This one is truly revolutionary, it will change the way you use ClickUp. We created this feature with the only intention of saving you time. Instead of having to click around, you can quickly use your keyboard for most common actions. Just try typing / in any text field in Task, List, Board, or Time View. 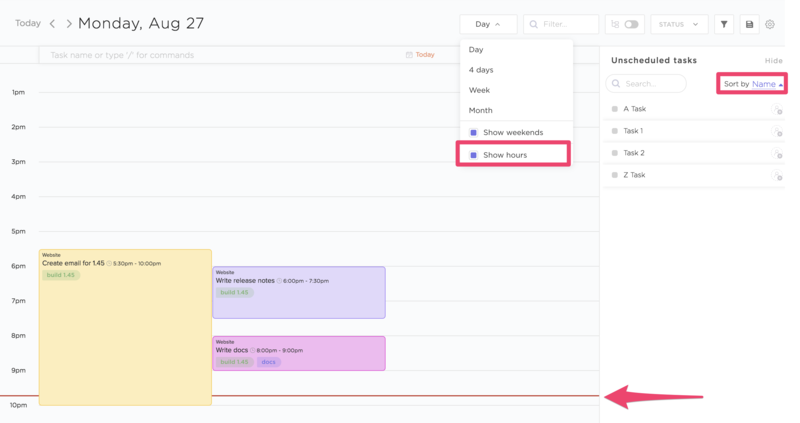 A breakthrough in removing unnecessary clicks from your workday - the QuickSwitch let's you quickly move between Spaces, Projects, and Lists with a few keystrokes. Pressing k on your keyboard or clicking the lightning bolt icon above your sidebar opens the QuickSwitcher. ClickUp will now automatically change all tasks' Due Dates that are dependent (waiting on) a task that is blocking them when that that blocking task's Due Date is adjusted. This can be enabled or disabled at any time from the new dependencies ClickApp in your team settings page. Type / to use Slash Commands! Recurrence history is now more detailed. You'll be able to see when recurrence is set, recurrence is triggered, a new task is created from recurrence, a recurrence is missed, and more!